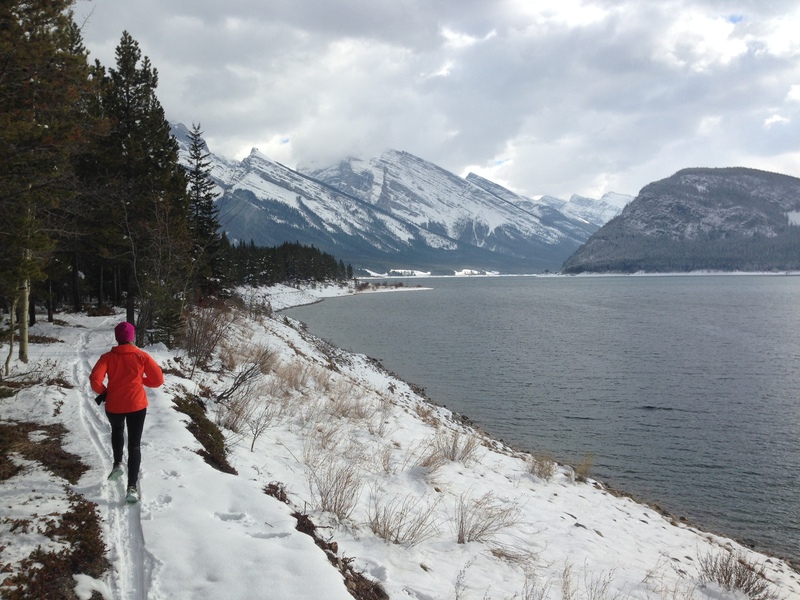 As described on Kananskis Trails, the High Rockies Trail is the westernmost section of the Trans Canada Trail in Alberta. A project of the Alberta TrailNet Society, it is a mix of old and new trails, heading south from Goat Creek along existing trails west of the Spray/Smith-Dorrien Highway (742). It passes Goat Pond, crosses Three Sisters Dam and heads down to Driftwood Day Use Area where it crosses to, and stays on, the east side of the highway. 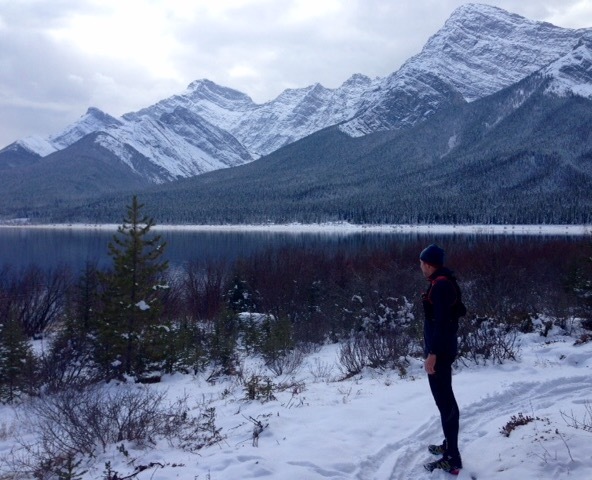 We ran the 5km section from the Three Sisters Dam until the turn off for the trail to Wind Pass. With the exception of the section between Chester and Sawmill, the trail to Lower Kananaskis Lake will all be new construction. The trail will be routed 200–500m uphill from the highway to catch the best views through open areas. Short connectors will be built to access the existing day use areas along the highway. After reaching Lower Kananaskis Lake the trail will pass by Canyon campground, along the power line and cross the park road to Elkwood and on to Marl Lake using existing trails. The final section will be south to Boulton, then to Elk Pass trailhead and up Fox Creek to Elk Pass on the power line where a kiosk will be erected. 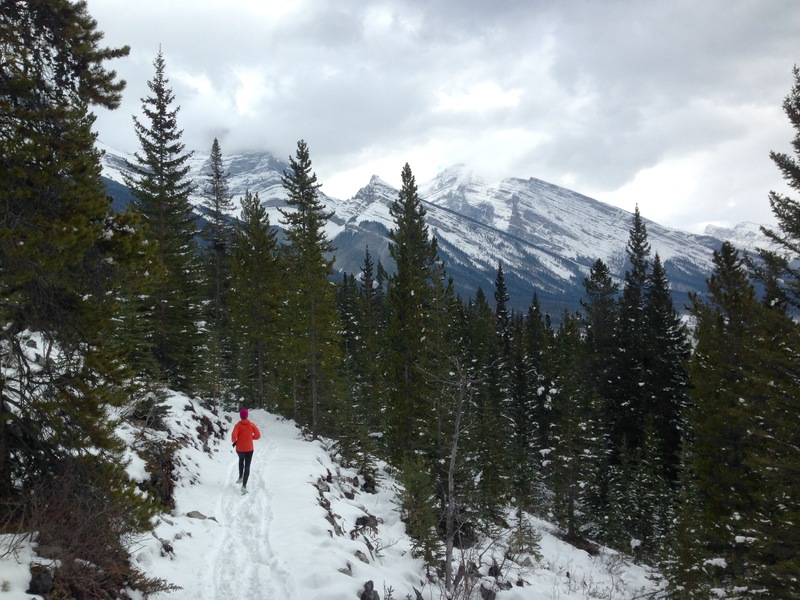 Detailed trail maps can be downloaded from Kananaskis Trails here. Construction started this summer near the Goat Creek trailhead and proceeded, I think, as far as the bridge over Buller Creek, some 31.5km (if my maths is right) from Goat Creek. The project is being organized in eight phases and is expected to be finished before Canada’s 150th celebration in 2017. Back again soon with more on this, or another of the myriad of awesome trails around here.